From totally turn-key cashflow properties to full scale restoration projects, Rock City is proud to showcase its featured projects throughout Greater Detroit. SPRAWLING 2-STORY MULTI FAMILY NEXT TO GROSSE PT. Built in the Mediterranean Revival Style, the Florentine West Apartments sit on a perfect corner in the neighborhood of Palmer Park overlooking majestic parkland that is also home to tennis and golf facilities. Just a few steps from famed Woodward Avenue, the building’s location offers the perfect balance of exciting urban access and peaceful tranquility. The 39 unit Luxor Apartments is situated in the Palmer Park district of Detroit. The property was built with an Egyptian style motif in 1928 and much of its original architecture and craftsmanship has been maintained and preserved exceptionally well throughout the years. It is a literal work of art in the revered community of Palmer Park. 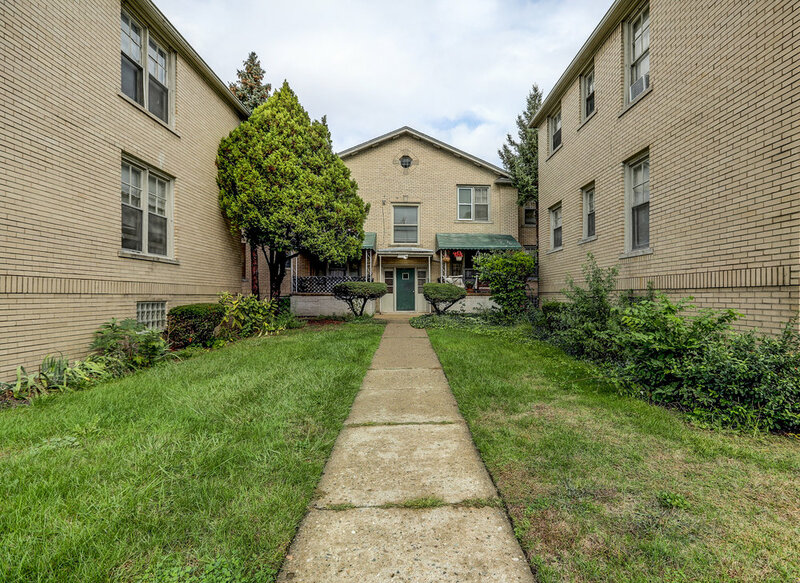 1960s construction with a mix of one and two bedroom units, this fully occupied low-rise multifamily is in great condition and well kept by residing tenants. Newer construction for the area, this 1944 built sprawling complex provides immediate cashflow and the opportunity to leverage land for new builds in the future. Primely located in Palmer Park with a deep set-back and ample street parking. The Merton Road Apartments complex was constructed in 1946 and each of the 20 units are uniquely laid out. The property features hardwood floors, on-site laundry facilities and each unit can be reached through a central intercom system. The property is fully occupied and running like clockwork. Built in 1928, this incredible Tudor Revival 78-unit apartment building is currently undergoing major renovations. Located next to the famous Lee Plaza Apartment Hotel and just a short distance from the new Little Caesar's arena in downtown Detroit, the property is ideally positioned for growth. The prominent bay windows on the front facade, dramatic courtyard, distinctive architectural brickwork and Tudor lobby loaded with custom stone and wood details make this property truly unique. Close to all of the action of downtown Ferndale and Royal Oak, Palmer Park contains some of Michigan's most notable historic properties. This Art Deco apartment building is being fully updated. Having already completed a major phase up upgrades, this fully occupied 44 unit building runs like clockwork and is located in a prime position in this highly desirable neighborhood. Running like a well oiled machine, this well maintained and updated apartment complex is fully occupied and sits in a prime location full of amenities. Newer windows, doors and roof, catwalks currently under renovation. Large units with tons of natural light each with contemporary finishings (white kitchens, walls, and light tiled floors). Ample parking onsite. Superb cashflow. West Detroit, desirable neighborhood with lots of public transportation and close to many amenities. This 29 unit projects as neat as a pin, runs like clockwork and is located in a super-prime location adjacent to large homes and a gorgeous golf course.